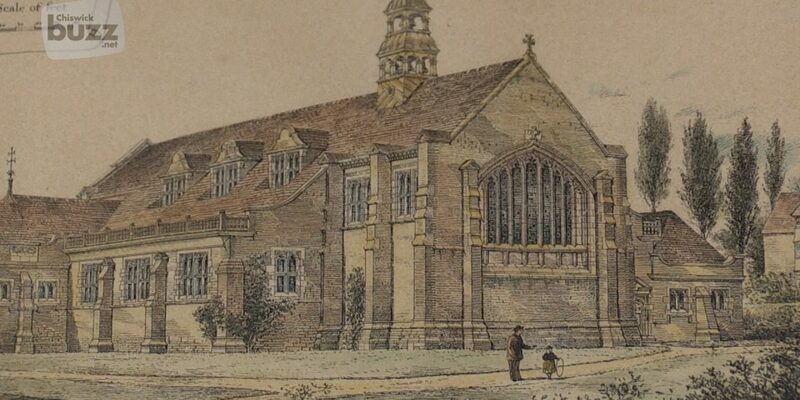 It’s 140 years since the first designs for St Michael and All Angels Church in Chiswick were published in 1879. The design caused riots at the time as people felt that the interior color scheme looked too much like a Victorian theatre! Happily the original colour scheme has now been restored and the Church has returned to being a meeting place for all at the centre of the community. You can follow St Michael and All Angels by checking out their website at http://www.smaaa.org.uk/wp/. St Michael and All Angels hosts many events during the year. You can find links to the Green Days Festival HERE and links to the Chiswick Book Festival HERE. In addition the church is used by many local organisations including Chiswick Choir and The Hogarth Singers. The Church hall is used for Opera lectures, Scottish Dancing and the Cercle de Francais Chiswick among others.